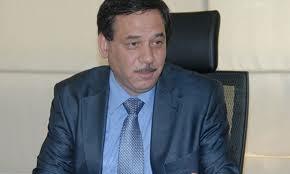 Hisham Khuzami is an important broker for the exchange of prisoners between the various parties of the Syrian conflict. While he says he is neutral he appears to be closely affiliated to the Iranian Revolutionary Guards. Contrary to other individuals who play a similar intermediation role, Hisham Khuzami publicizes his efforts and claims that he requests no money for his services. The name of Hisham Khuzami has recently emerged as an important broker for the exchange of prisoners between the warring parties in Syria. On his Facebook page Khuzami defines himself as a broker for “prisoners exchange from all parties free of charge.” Anyone who wants to exchange prisoners, he writes, “can communicate with me on WhatsApp.” He publishes his phone number and confirms in his posts that he earns no money for the role he plays. While his name has been mentioned since the beginning of the war, it is only recently that he has become prominent. Khuzami is not the only intermediary who works in this field. Other known brokers include Yasser al-Bakar, a Damascus businessman and a Shiite militia commander charged with protecting the shrine of Sayedah Zainab, and the pro-regime female reporter Kinana Huwaijah, who also brokered exchanges in evacuation processes in southern Damascus and Northern Homs. However, Khuzami is the only one who publicizes his work. Hisham Khuzami comes from Maarret al-Nu'man in the southern part of the province of Idleb. 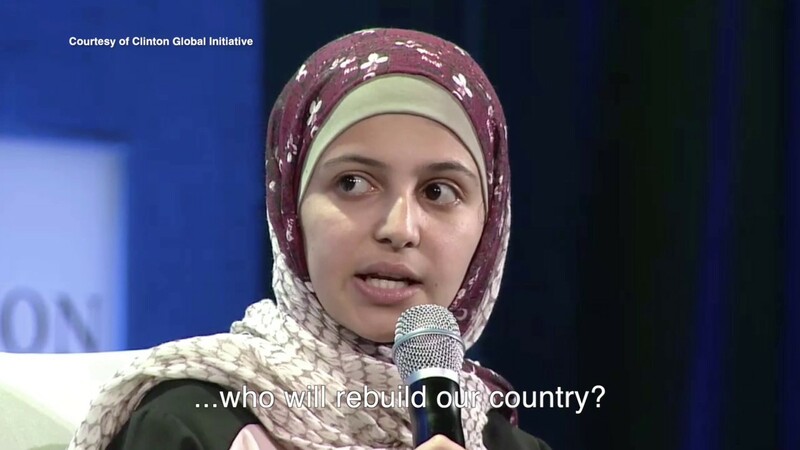 He was born in 1970 to a Bedouin family from a large clan, Bani Khaled, which is spread throughout Syria, especially in the provinces of Deir ez-Zor and Homs. 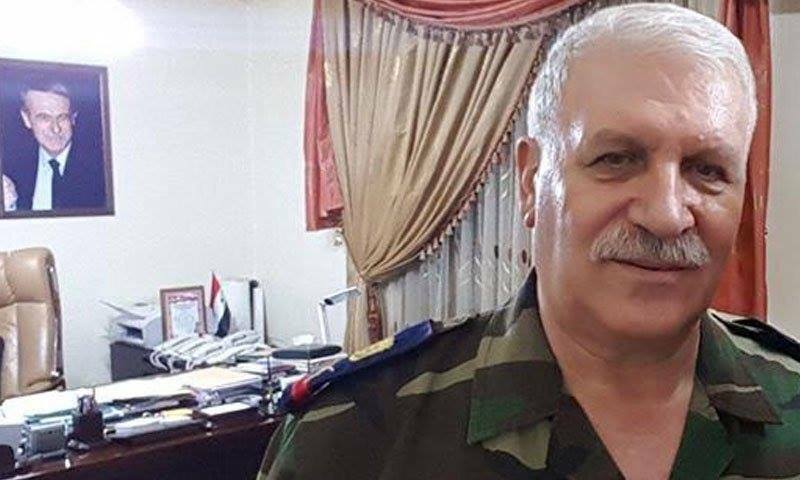 Khuzami posts on his Facebook page a series of videotapes showing exchanges of prisoners from the Syrian army or its affiliated militias in return for detainees held in regime jails. For each deal, he attaches video recordings of the moments before and during the handover of prisoners and detainees, mostly fighters from the regime and its allies or from the opposition. His exchange operations are not limited to fighters, however, and extend to civilians. 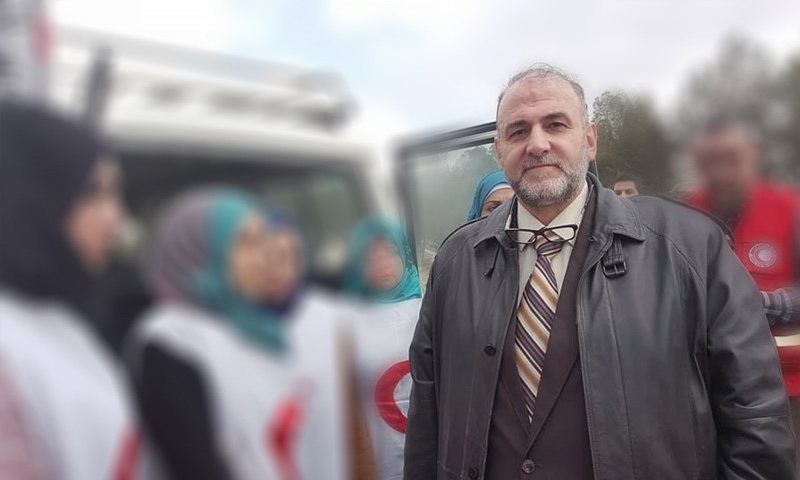 One of the latest deals was in the countryside of northern Aleppo early March when he brokered a deal to release prisoners held by the Muntasser Billah Brigade and the regime resulting in the release of ten women as well as a young man who had been sentenced to death by the regime. Another recent deal led to the release of eight women from the city of Homs and its countryside and two from Aleppo as well as a young man from the city of Tel Kalakh near Homs. This deal had stumbled several times previously and other parties, including the regime’s Minister of National Reconciliation Ali Haydar, had failed to broker it. Khuzami also lets himself be taped together with radical Islamic commanders and published a video with the leader of the Ahrar Al Sham Islamic Movement, Hassan Soufan, after he facilitated his release in return for the release of a senior Assad officer in December 2016. In a recording posted by Khuzami before the exchange, Soufan said that he was being treated well and called on leaders of Ahrar Al Sham to communicate with Khuzami to speed up the exchange process. Ahrar al-Sham reported that Soufan was released in exchange for the commander of the regime’s military campaign in the Aleppo countryside, Lieutenant Rami Hmaidoush of Qardaha, the hometown of the Assad family. When Hmaidoush was released, the regime's media broadcast a series of interviews with him, where he spoke of the “victory” in Aleppo, without mentioning the deal that had been brokered. 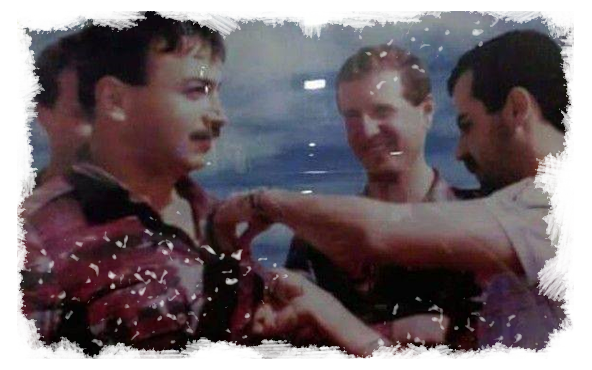 However, Khuzami published videos of the handover, where he appeared seeing off Soufan on his way back to the countryside of Aleppo and telling him, “Peace be upon you, brother. 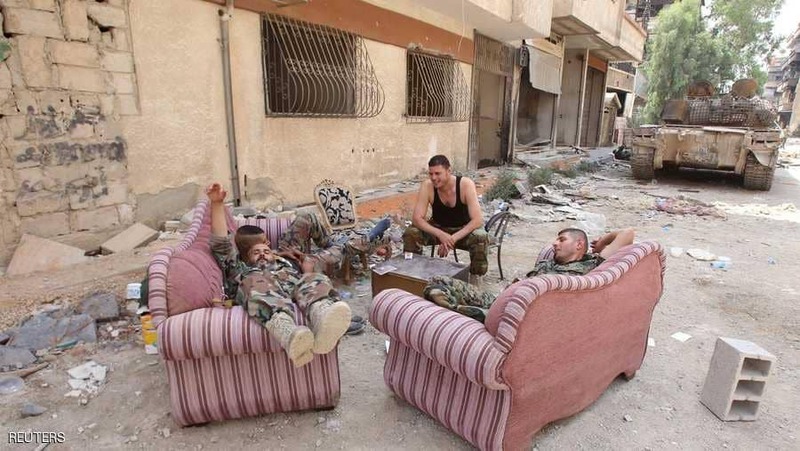 God be with you.” He also appeared alongside Lt. Rami Hmaidoush after his arrival in regime-controlled areas. Several sources say that Khuzami was appointed by the Iranian Revolutionary Guards in the early years of the civil war to serve as a negotiator and mediator for exchanges with the opposition military factions. Farouk Ahrar, a commander from Ahrar Al Sham, confirms that Khuzami is vetted by the regime’s Ministry of Justice, in addition to being affiliated with the Iranian Revolutionary Guards. He adds that Khuzami was free to enter regime-controlled and opposition-controlled areas without being bothered by anyone. Khuzami actually identifies himself as being accredited by the “Syrian State and the Iranian Revolutionary Guards” and reiterates this in every exchange operation he facilitates. In the previous years of the conflict, the prisoner exchange deals were linked to large amounts of money being paid. The most prominent of these was the “Five Cities” agreement, which reportedly facilitated the release of Qatari prisoners held by the Iraqi Hezbollah in exchange for a large sum of money in addition to the release of a number of Iranian prisoners that were held by the Al-Rahman Corps. Khuzami says he does not receive any money, which makes some people wonder why he would do that. “He is interested in fame and through our experience with him during prisoners’ swap deals we did not see any wrong doing from him,” explains the military commander quoted by Enab Baladi, adding that Khuzami had always defined himself as a “philanthropist” who was more interested in a good reputation. Khuzami continues to broker deals, according to what he says on Facebook. He is currently working on the exchange of two pilots, Colonels Mohammed Ali Abboud and Nidal Ali Mohammad, and a group of soldiers known as the Abu Douhour Airport Group after they were videotaped last April asking Khuzami to help them go home.